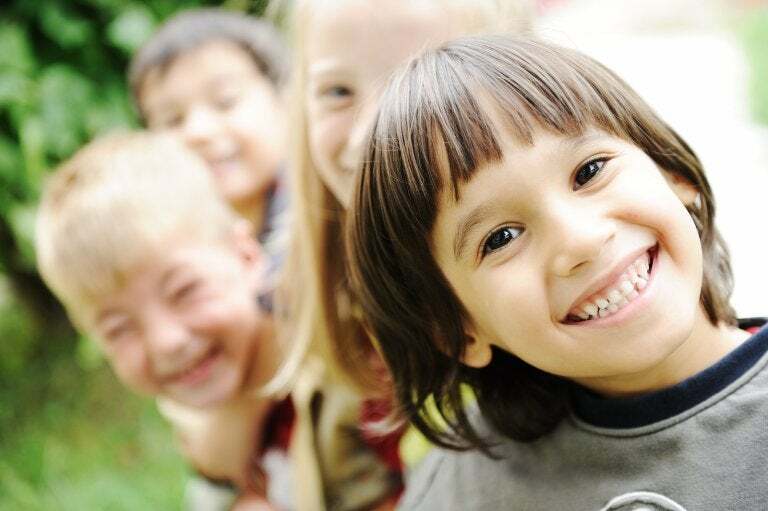 If you have a child around 4 years old or you happen to know one, you’ll surely have noticed they have the capacity to smile hundreds of times a day – in contrast to adults who only smile around 17 times a day when in a good mood. It’s important to help children develop a sense of humor, as it can make life a more fun and happy experience for all. Laughing establishes a bond between parents and children. Simply put, there is no better way of connecting with children than with a good laugh. Laughing can help a person learn more, feel more comfortable with oneself and the world around them. When you laugh, children will notice that everything is fine and they’ll laugh along with you as well. Children notice early on that an unhindered attitude is better for learning, which applies to learning serious things as well. 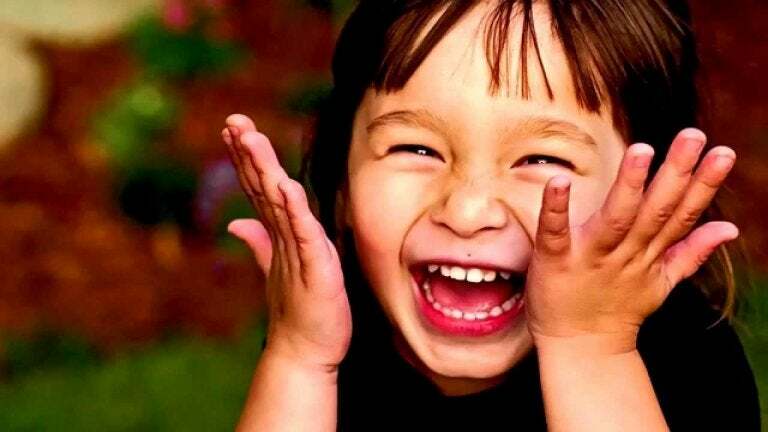 Laughing and having a good sense of humor are also necessary for children’s social and mental development. Not to mention, laughing is good for the health of children and adults alike. All in all, laughing and a good sense of humor can make life feel easier. Certain studies have proven that laughing induces the liberation of fast-acting hormones such as endorphins that help people feel better. Laughing also reduces circulating stress hormones and stimulates the immunologic system. When we laugh, muscular tension reduces, circulation and respiration improve and the amount of oxygen in the bloodstream elevates. All are health benefits! Laughing also shows that a person feels happy, in harmony with oneself and the environment. There is nothing more beautiful in life than the sincere smile of a child, because not only is their happiness and emotional well-being contagious, but they teach us that life can be a lot easier than we adults think daily. Doing funny things to make a child that is around 4 years old laugh is always a great idea. Children laugh a lot when we “clown around.” Making faces, smiling, saying made-up words, singing funny songs, pillow fights, hiding in plain sight… There are many ways to make a child laugh and cultivate their sense of humor. Children love laughing and jokes are a good way to get them to laugh. Perhaps the joke doesn’t even make sense, but telling the joke in an animated or exaggerated way can be very fun. This also helps them develop language skills, understand timing, and create a sense of interpersonal trust. Make sure you laugh every time your child tells you a joke… even if it’s not funny! Never avoid laughing out loud. Allow yourself to laugh all you need to and even more if that laughter can be contagious to your children and family. Laughing together is a great way to bring the whole family together and strengthen ties. If there is something that seems funny to you, enjoy it – always with respect and in a loving way towards yourself and others. Who doesn’t like tickles? Tickling (without being too intense) is a good way to make anyone laugh. You can play tickling games to see who holds on the longest without laughing or to see who laughs the hardest. We make the rules, the only thing that is prohibited is not laughing. A fun time is guaranteed! Whether playing a board game or sitting around the dinner table, creativity is essential to help children develop a sense of humor. Find those things that can be funny during the day and take advantage of them to have a good time and to have a good sense of humor. In addition to helping your child laugh and develop a sense of humor, you’ll also have a good time and see life in a more positive light.